The Last Bunker – I HATE Sand! On Monday, it was just shy of 3 p.m. afternoon, this was the time the featured of day grouping headed to the 1st tee. However, the fans that were thinking heading for the exits, worn out after hours in the sun, reconsidered as Justin Thomas, Fred Couples, and Tiger Woods moved from the range to the course. For past few years now, Augusta National itself has been the point of attraction at the Masters, and on Monday it happened. Fans came there were amazed to check out the mostly-empty property all morning. It was a kind of national park, but with more craft beer and pastel clothes. The Golf School, Dustin Johnson situated at TPC Myrtle Beach in its fresh move has joined the network of Golf Channel of teaching facilities. By this move it has become the first Grand Strand golf school in the area to do so. Golf Channel Academy (GCA) is a network of coaches and facilities operating with the dynamic support of its namesake network. The aims of the academy is to increase its members the profile facilities via cooperative mass promotion, built improved teaching methodology via the sharing of its methods and ideas of teachers, and develop a consistent student experience all over the network. The school of Johnson opened in 2013 as a joint collaboration between the Columbia native and Allen Terrell, he was the former coach at Coastal Carolina, and also the director of coaching in the school. The 2017 ACC Men’s Golf Championship ended on Saturday with the Blue Devils emerging winners at the Musgrove Mill Golf Club. They won the title in style as they posted rounds of 277, 285 and 288 to get their first since 2013. The Blue Devils had a Championship coach in Jamie Green and the team was motivated going by the successes of the women’s arm. “We’re in a building where we see a ton of ACC titles by the women’s program and our guys are a little motivated by that, we’re not going to lie,” Green said as they lifted the title. Wesley Bryan won the RBC Heritage in South Carolina on 16th April. He carded 67 to complete at 13 under par 271 on Hilton Head Island, Harbour Town Course. Bryan has made it to great heights by becoming the 1st South Carolina champion since its formation in 1969. Luke Donald, the Englishman finished one stroke back and missed a great chance towards the end. He had no other option but to settle for the 5th runner up finish at 68 at the event. This American golfer played college golf in his early life at South Carolina University that made him win two events. Jason Dufner, who in the past won a PGA Championship, has gotten used to people following his every move and being pelted with questions by fans and reporters. However, he was greeted with a different crowd and environment on Monday afternoon when he visited the Grace Place for Children and Families in Golden gate. This time, the crowd was not aware of who he was or what he does for a living. The 39-year old pro golfer had stopped by the non-profit organization where he helped to dish out meals for the children as part of the after-school program being carried out by the organization. He was surrounded by different kindergartners and children in elementary school as he worked at the table just as another helper, lining the table with little cartons of chocolate milk and trays of chicken patties, rolls and mashed potatoes. The Nedbank Golf Challenge is almost upon us. This Gary Player hosted event is all set to roll out next week. 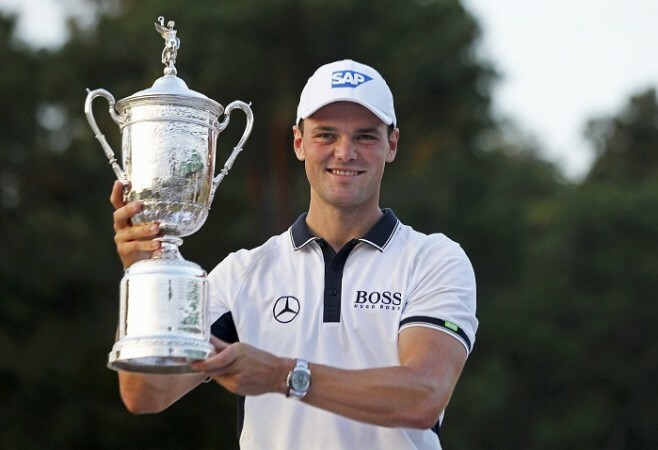 Martin Kaymer is looking forward to his second victory at NGC. And this is the second last series of the European Tour. Martin is a former world No. 1 and he hails from Germany. The 2012 season was the best season for him. It was his only victory during the 2012 season and it was Africa’s Major tournament. He was a deserving winner of the Ryder Cup in Medinah. The Nedbank Golf Challenge wasn’t a part of the European Tour schedule until 2014. It became a part of it in 2014. And this has become the penultimate event before the final event in Dubai. We are referring to the DP World Tour Championship, which is scheduled to happen in Dubai. This is a very important event considering world’s best 72 players will be taking part. The prize money is very attractive – $7 million. And we are fast approaching the crowning of the European Tour’s No.1 player. Have you taken a look at the golf spikes that Bubba Watson would be flaunting at the Olympics this week? The spikes definitely look patriotic as they come with blue, white and red design similar to the US flag pattern. That would be seen on his feet in Rio de Janeiro. The golf team from US in the Olympics is being sponsored by Adidas. The play begins next week for the team. The GFore spikes are definitely an exclusive possession of Bubba that he would be flaunting at the Olympics. Bubba Watson made the it to the Masters for the 8th back-to-back time in the tournament. he 2 time champ at the Augusta National is six over hundred-fifty after posting a 2nd consecutive seventy-five in Fridays 2nd round to make the cut on the nose. Bubba will play in the 3rd third round on Saturday because the afternoon groups returned to the pack. Jordan Spieth shot a two-over seventy-four but is still the leader at four under. Bubba was often left shaking his head as well as looking to the wind and sky after wayward shot on Friday. He told that the conditions were as disputing as any he has watched at the course. He told that the golf course beat him this year. He has to improve, get better around this place. Watson told that he was still very much affected by a sinus allergies and infection that he talked about earlier in the week. He told that even if healthy he might have still missed the cut. This just shows that he needs to improve, get better in windy conditions on this golf course. A small mistake can hurt in a huge way. Akin to too many Augusta National putts, Bubba Watson seems really tough to read. According to general public, the golfer is a gentle long-hitting goofball, some good old boy coming up with homemade swing & someone who even cry up when anybody asks him about his beloved adopted kids. However, a lot of Bubba’s peers, his fellow pros playing at PGA Tour take him as disingenuous. In fact, a recent poll survey has found out that Watson is one peer whom none of the golfers would be coming to help in case he is involved in some parking lot brawl. Interestingly, Bubba’s reaction was far from what was expected.